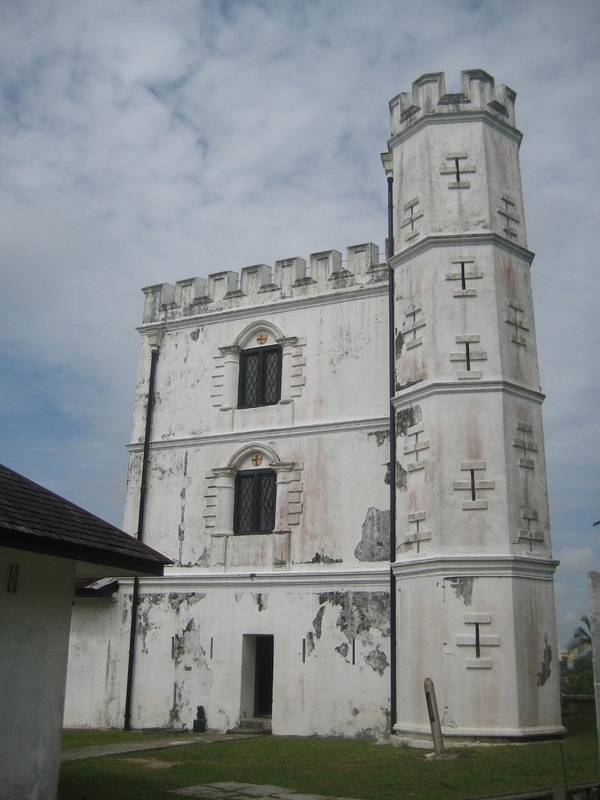 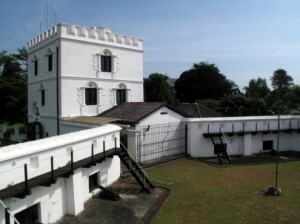 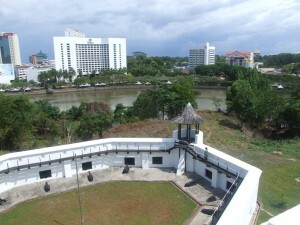 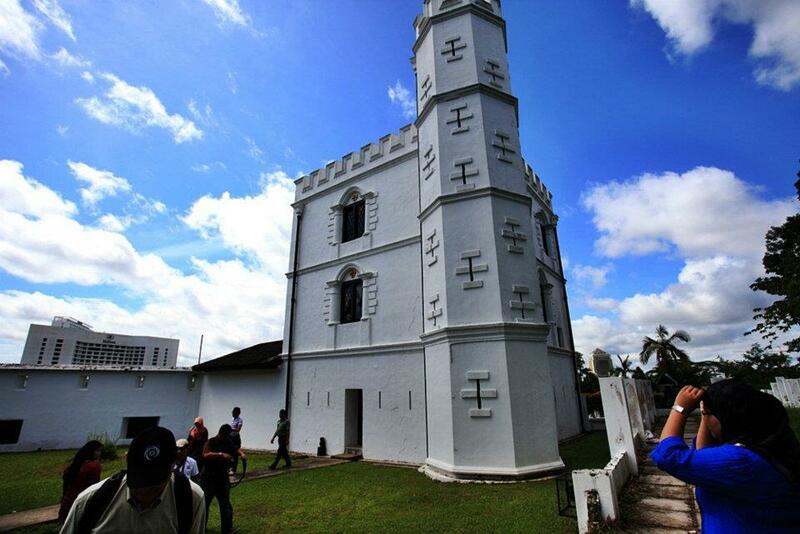 Situated on a hill across the Sarawak River, Fort Margherita is an important tourist spot of Kuching, Sarawak, Malaysia. It was built in 1879 by Charles Brooke, The Rajah of Sarawak, and named after his beloved wife Margaret Alice Lile de Windht. 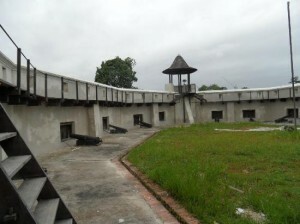 The fortress primarily served as a barrier to defend pirate invasions. 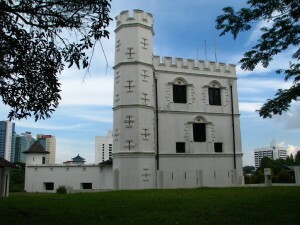 The fort was designed according to the structure of an English Castle. 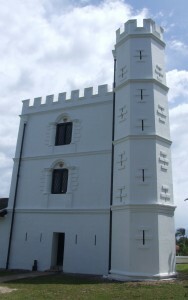 The three storied chief tower is located on the side of the castle instead of being in the middle, in order to attach the main structure onto it. 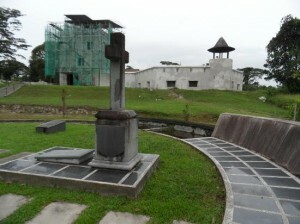 It is surrounded with high walls inlaid with sharp glass shards for protection. It also includes a courtyard encompassed by curtain walls with a small cemetery containing the graves of some of the members of the Brooke family along with other people who worked for them. 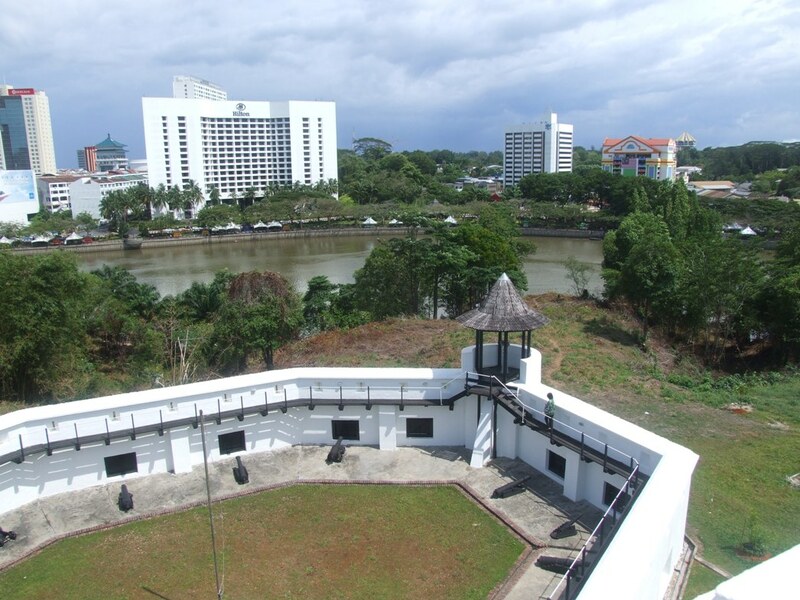 Although inspired by English renaissance artwork, the whitewashed castle is a reminiscent of both the art forms of medieval-Europe and tropical sensitivity, implementing a panoramic view of the river and the city from its crenellated roof.